The longest coral reef in the world is showing signs of recovery due to a milder 2017-18 summer, as well as cooperation among science, industry, and government in supporting the reef's recovery, according to a new report. The nonprofit Reef & Rainforest Research Centre has reported signs of recovery due to a milder 2017-18 summer, as well as cooperation among science, industry, and government in supporting the reef’s recovery, according to the report issued on Wednesday by the Queensland State Government. Stretching more than 1,430 miles along Queensland’s spectacular coastline, the Great Barrier Reef is the longest coral reef in the world and the first coral reef ecosystem to be awarded Unesco World Heritage Status. Coral bleaching occurs when coral experiences stress from heightened water temperatures or poor water quality. In response, the coral ejects a photosynthetic algae called zooxanthellae, which removes the coral’s distinctive color. If the stress conditions persist, the coral will die, the report says, but if conditions return to acceptable levels, some coral can reabsorb the substance and recover. The RRRC, in cooperation with the Association of Marine Park Tourism Operators, conducted detailed surveys at key tourism dive sites around the city of Cairns in 2016 and 2017 and says certain reefs that were strongly affected in the bleaching event are showing significant signs of improvement. 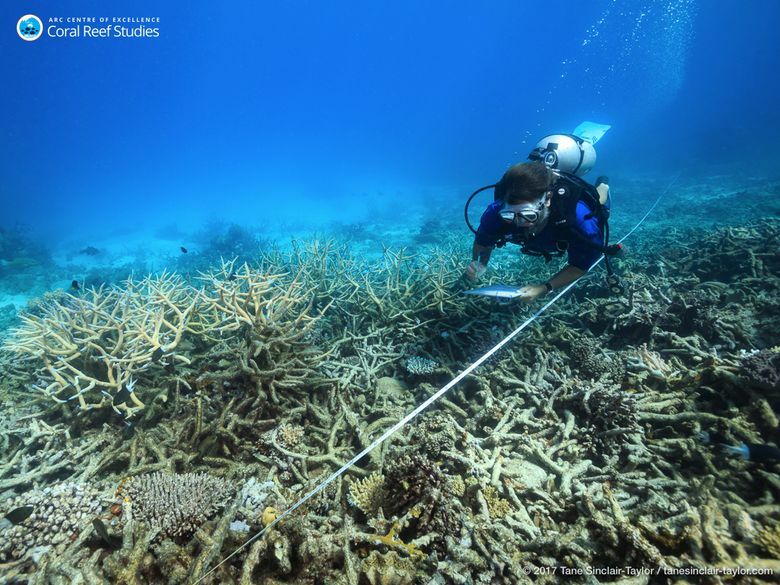 Coral bleaching occurs in multiple stages, according to RRRC Managing Director Sheriden Morris, ranging from the equivalent of a mild sunburn to coral mortality. 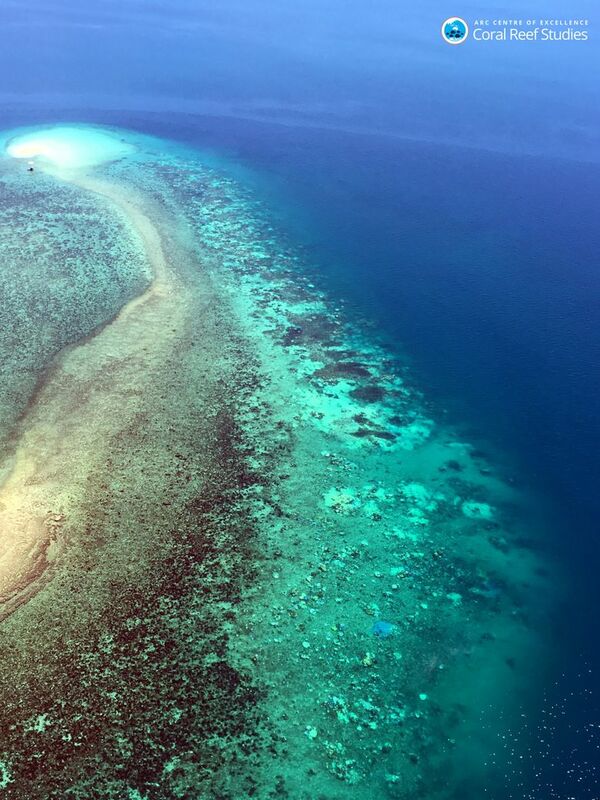 The full impact of the 2016 bleaching, which damaged or destroyed 30 percent of the reef’s shallow water coral, has not yet fully been assessed, according to a report released on Tuesday by the Nature Research Journal. Deeper reefs are often considered a refuge from thermal anomalies such as those experienced in 2016 and 2017, but the report argues that both shallow and deep reefs are threatened by mass bleaching events; even when the upwelling of colder water (which replaces warmer water pushed offshore by winds) stopped at the end of summer, temperatures at depth rose to record-high levels. Researchers found bleached coral colonies as far down as 131 feet beneath the ocean’s surface, according to the report. News of the recovery comes only two months after the RRRC co-hosted the Great Barrier Reef Restoration Symposium in Cairns, which convened more than 300 scientists, engineers, and marine tourism representatives from 14 countries to focus on the restoration and recovery of coral reef systems under threat from warming climates. 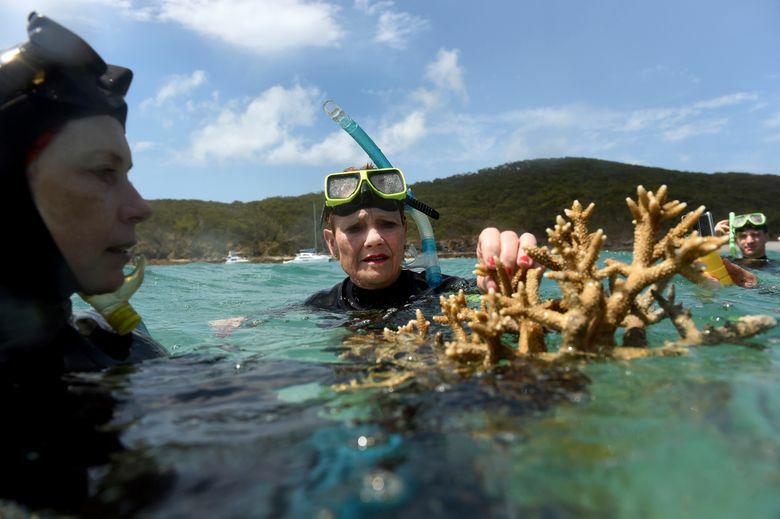 In April, the Australian Federal Government announced a $379 million (A$500 million) funding grant for the Great Barrier Reef in order to tackle challenges such as climate change, coral-eating starfish, and water quality affected by agricultural runoff. 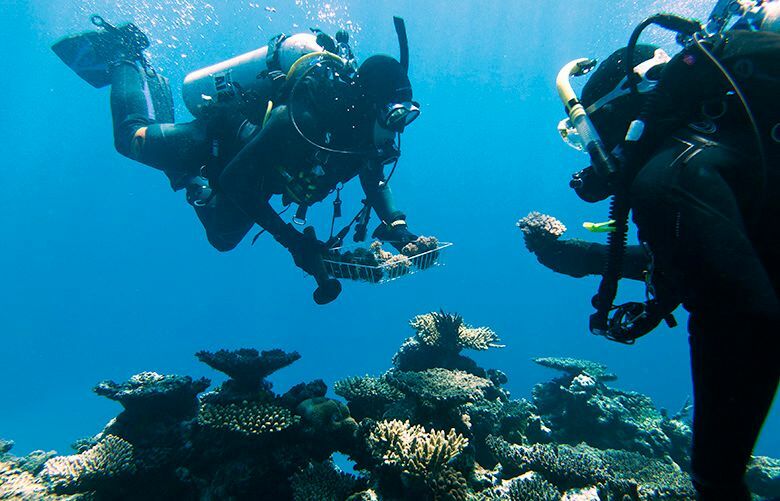 Deloitte Access Economics valued the reef at A$56 billion in 2017, basing it on the fact that the reef supports tens of thousands of jobs and contributes A$6.4 billion annually to Australia’s economy.